Dolan is a man with no internal convictions about anything, except himself. He is just worried about where the next big meal is coming from and what wealthy person will finance his lavish lifestyle. Toothlessness has no real ending this week. I Cor.5 tells the Christian community to expel the man sleeping with his stepmother….nothing about accompany…expel. Dolan = The McCarrick Establishment. It’s sacraments are conferences, fine cuisine, Meet the Press, and the Al Smith Dinner. The Whited Sepulcher Church of the Dead. Ironically Daly’s predecessor as Bishop of Spokane was none other than Blaise Cupich, who is a big supporter of “accompaniment” of leftist politicians who dissent from Church teaching. Eventually, refusing to act becomes an action in itself. We are decades past that point in the Catholic Church’s episcopal acquiescence in the face of abortion. Dolan et al seem more intent on hobnobbing with their establishment elite cronies than on upholding the truths of the Church. It is difficult to imagine a baser insult to our Creator. I wonder if they will be surprised if God lets them go on hobnobbing like that for all eternity. The Speaker has agreed to become evil to destroy evil as many on the left. They have not agreed to become a follower of what is good, which mean giving up unethical and immoral behaviors and live according to the laws of God. “I put before you choice. Life or Death, blessing or curse. Choose Life that you may live.” Deut. You don’t fight death with death, you don’t fight curses with curses. You choose life and to regard life as a blessing for all, not just yourself. 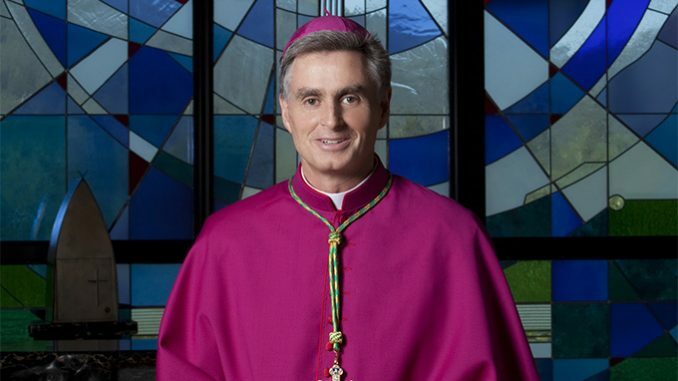 I hope this Spokane Bishops becomes a role model for others. Considering the fact that anyone who supports abortion has excommunicated themselves from the Catholic Church, why have any politicians or anyone else who has publicly stated their support been allowed to partake in Communion? In fact, why haven’t the heretics and apostates who are members of the clergy not already been defrocked? Why are they left to teach and preach a false Gospel? Why do Catholics believe non-Catholics have the authority and the right to stand before them and tell them lies, mocking and blaspheming God? Will the blind ever see? I’m tired of hearing brave pronouncements by bishops that never translate into action. Are there no pro-abortion Catholic politicians in Spokane? I would imagine that there are hundreds of them at all levels of state, county, and city government. Instead of giving writing letters and giving speeches, let Bishop Daly begin with a dozen excommunications of these pseudo-Catholics. The bishops who are silent in the face of evil are enablers of the evil despite their empty rhetoric to the contrary.